This wallpaper started out with me modifying the ui elements of the Cube\'s interface from images to give me the texture for the sides and top the cube. With this wallpaper I did something I hadn\'t done in a while. I tried with eyeing each piece skewing and warping the images to try and give a 3-d looking cube. I\'m sure it\'ll have some inconsistencies but from just judging by eye I am proud of this one. The fire now that was something that took some fiddling with layers and styles just to get the glow right. At first i was really trying to match it with some of the screenshots from the patch preview video that blizzard brought out on Tuesday. In the end the fire turned out fantastic and if you think about this. The cube almost gives off a single candle type effect. A fitting and simple wallpaper for the cube and for a great man. 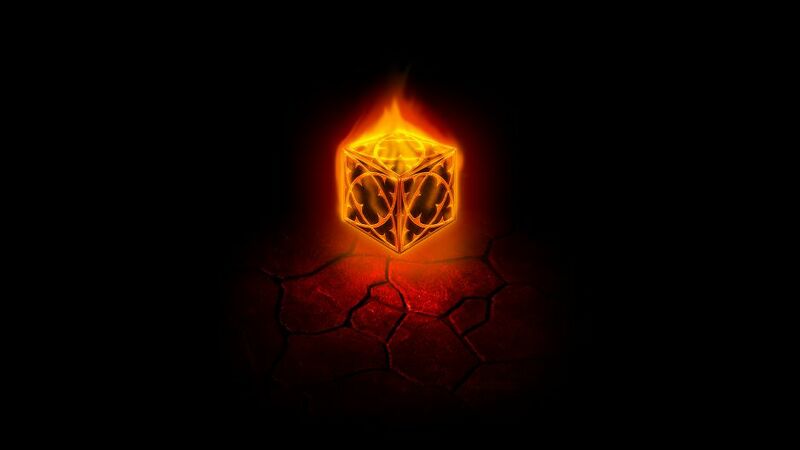 This wallpaper of the Cube is for you Kevin.